May 4, 2017 SEOBy DEANknows! With the internet being so centralized to everything we do today, its understandable that many business owners understand that having their website found on the internet is critical for success. Today, we no longer just sit in front of a computer at work or for an hour at night, we use our smartphones throughout the day. In may instances, we don’t even notice all of the searches we make on our smartphones. Whether you are asking Siri for the directions to a restaurant or typing in “snowballs around me” — SEO is constantly playing a part in the results that you see and the businesses you interact with. We wanted to give a big shout out to our most recent clients who utilize our SEO Services to drive new customers to their business. We are happy to welcome Chubb Realty of RE/MAX Realty Plus in Boson MA to our family of clients. Jeff Chubb and his team are the dominant real estate player in the Boston area. Being the #1 RE/MAX Agent in all the Boston Metro Market — EVERY YEAR since 2011 proves that point. Jeff was also the Number One RE/MAX Agent in all of New England in 2015 and consistently sells over 100 homes in Boston every year. The key to their success is not only the superior customer service but serving all of the Boston Neighborhoods and other cities including Cohasset MA, Hingham MA, Quincy MA and more. We are happy to welcome Buddy Blake to our list of happy clients. Buddy is the owner of RE/MAX Essential and specializes in homes for sale Wilmington NC – with over 20 years experience in Wilmington NC real estate. Buddy Blake servers the Greater Wilmington area including: Carolina Beach, Wrightsville Beach, Kure Beach and much more. We are extra excited to have Buddy aboard because he has a long history of being an industry leader in technology and marketing for real estate. For the last 10 years straight, Buddy has been recognized as a “Top 100 real estate marketing innovators”. All Around Realty is a real estate brokerage working on the North Shore of New Orleans. Representing home sellers and individuals who are looking for homes for sale in Ponchatoula, Mandeville, Madisonville, Abita Springs and Folsom LA. Now, Shelly Vallee is combining her years of real estate experience with cutting edge technology including a Property Search that is directly connected the MLS – for the most updated listing database available. Visit the new website HERE. The Price Law Firm is a professional law firm specializing in personal injury law, bankruptcy law, oil spill claims and much more. With years of litigation experience and multiple lawyers on staff to meet your needs, The Price Law Firm is the definitive personal injury attorney if you have been injured by the fault of someone else. With two locations, one in Panama City and the other in Fort Worth TX – they have received over 10 million in awards for their personal injury clients. Barbara Zorn is a top real estate agent in Florida. 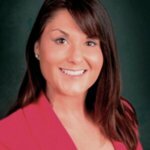 She focuses on working buyers and sellers of luxury real estate in Cocoa Beach and the surrounding areas. In addition to Cocoa Beach, she has a long history of beach home sales in Melbourne, Cape Canaveral, Satellite Beach and much more. If you are in the market for luxury, beachfront homes in Brevard County Florida, Barbara Zorn in your go-to REALTOR. Our newest real estate client is Chad Miller out of Panama City Beach. With years of experience as a Panama City Beach REALTOR, focusing on condos for sale Panama City Beach – and an expert in: Calypso Towers, Edgewater Resort and Majestic Towers. We are happy that Chad has chosen us for his digital marketing needs. One thing we will be doing with Chad is documenting our entire process for ranking his real estate website. We will be creating an ongoing blog post that will act as a case study for real estate SEO. One of our newest clients is Palmetto Addiction Recovery Center. We are happy to work with one of Louisiana’s top rehabilitation centers. Palmetto Addition Recovery Center is located in Rayville, Louisiana, and has multiple satellite locations throughout Louisiana. With a long history of drug rehab, alcohol detox and a variety of addiction recovery options, Palmetto has a option if you, or someone you love is in need of care. Established in 1993, they focus on bringing hope and lasting recovery to individuals and families suffering from addiction. MHM Urgent Care is the largest Urgent Care facility in the Gulf Region and a top 25 Urgent Care provider in the country. With 12 Urgent Care locations and 4 Occupational Medicine offices, they dominate New Orleans Urgent Care. We work closely with the Director of Marketing to insure that when someone needs emergency medical attention, they get the treatment that they need in one of our clinics. Constantly expanding, they have just opened their newest facility, the Covington Urgent Care clinic. One Percent Lists is a discount real estate broker, focusing on the Northshore of New Orleans. They have brought a new real estate business model to New Orleans by offering the same real estate services, for listing your home, but only charge 1% on the listing side while keeping a competitive commission offered to the real estate agent that brings the buyer. This saves home sellers thousands of dollars listing their home, while still getting professional photos and all of the other REALTOR services one comes to expect from their real estate broker. On the buyers side, 1 Percent Lists focuses on homes for sale in Covington while serving the entire Northshore. Elevate Realty Group has taken Hood County Real Estate by storm. Only a few years old, Randall Luna and Elevate Realty Group has leveraged technology to dominate the elite real estate market of Granbury Tx. Elevate Realty Group is the fastest growing real estate broker serving the Granbury area and has quickly become one of the largest brokers in the area. Homes in Granbury TX have seen tremendous growth as not only a place to live but as a resort community with beautiful homes all around Lake Granbury including the new luxury real estate development Pecan Plantation. Elevate Realty Group utilizes cutting edge technology to provide a powerful property search containing all of the homes for sale in Granbury Tx from ALL local real estate brokers. Lakeshore Louisiana is the largest master planned community in Louisiana with a focus on Luxury Real Estate. Providing a Luxury New Orleans Home feel to people on the Northshore of the lake. With over 25,000 acres of prime property in St Tammany Parish, multiple luxury subdivisions, a new luxury condo complex and waterfront access to Lake Pontchartrain, Lakeshore has proven to be one of the most sought after luxury real estate developments in Louisiana. From Lakeshore Estates with its large, waterfront homes to the condos of Lakeshore Cove, the real estate development of Lakeshore has something for everyone. Management 1 Tri Cities Realty and Property Management has years of experience managing thousands of properties. But when they decided to move to a different state, those years of branding didn’t help them get established in their new market. We have worked with them to dig into the boutique Tri Cities real estate market of Washington including the cities of Richland, Kennewick and Pasco. Focusing on property management but still offering standard realty services and court receivership, we are happy to say they are on page one of Google. Lakeshore Marina is the most prestigious, full service marina in the Greater New Orleans area. Featuring direct access to Lake Pontchartrain, dry boat storage and wet slips, Lakeshore Marina provides convenience for Northshore boaters to easily jump in their boat and be in the lake in minutes. A full service New Orleans Fishing Charter out of Venice LA, we will be working with the new web developer on on-page SEO as well as providing full SEO services. With many people across the country searching for the best charter fishing to set up their next trip, search engine optimization is critical for this type of business. Needless to say, we have many other clients utilizing different Digital Marketing options offered by DEAN Knows. We just wanted to give a specific “Shout Out” to our newest Search Engine Optimization partners. 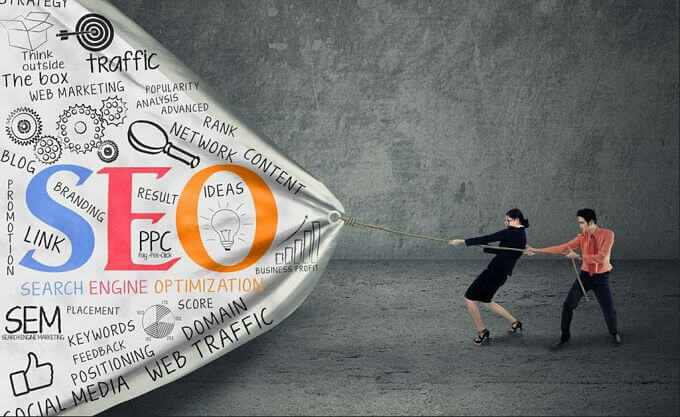 We believe that SEO is only one piece of a successful Digital Marketing strategy. Over the last 6 months, we have been busy focusing on our real estate search engine optimization and seller lead generation. We feel confident that we have the most cost effective and streamlined process on the market utilizing the most cutting edge digital marketing techniques. Want to check the SEO of YOUR Website?